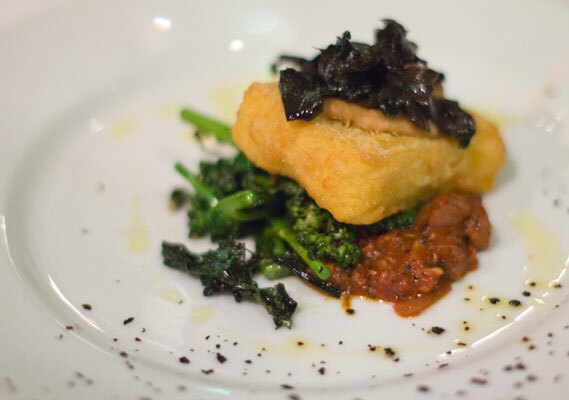 Downtown San Francisco’s Millennium Restaurant has a flawless vegan menu centered around local, seasonal ingredients. With entrees that could satisfy any carnivore’s appetite, each dish incorporates rich sauces and dynamic flavors made solely from whole foods. Last month Millennium hosted a five course winemaker dinner featuring an entirely gluten free menu paired with locally made wines from Urban Legend Cellars of Oakland. Executive chef Eric Tucker skillfully designed each course to compliment the accompanying wine, wowing diners with his aptitude for exquisite pairing. Highlights of the evening included a crisp polenta cake served with toasted cashew cheese, black chanterelle mushrooms, and smoked tempeh sausage. 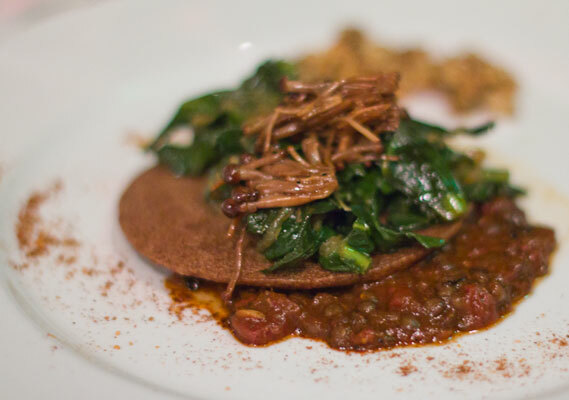 Another dish was a teff crepe with black lentils, caramelized onions, grilled Enoki mushrooms and braised collards. 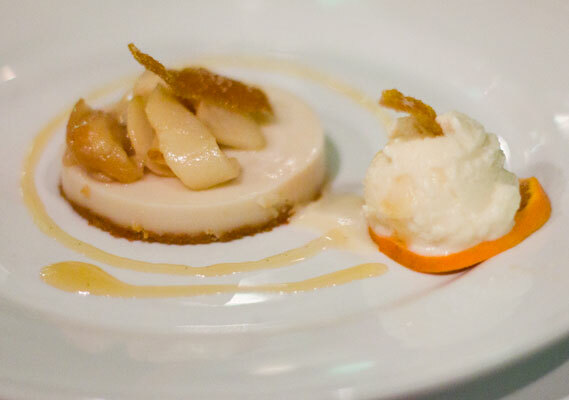 An incredible vanilla meyer lemon torte made with almond crust wrapped up the evening, leaving guests marveling at Millennium Restaurant’s ability create spectacular food without harming a fly. Several gluten free options are available nightly. LOVE Millenium! As long as you are including restaurants that are not necessarily in SF, may I recommend Wild Goat Bistro in Petaluma? They offer GF pasta, pizza and desserts.